Rowman & Littlefield Publishers, 9781589798021, 349pp. As the nation reels from the impact of the Great Recession, many families are finding new ways to live together, including creating multigenerational households to save money and consolidate resources. Indeed, as the authors point out, the concept of nucl. 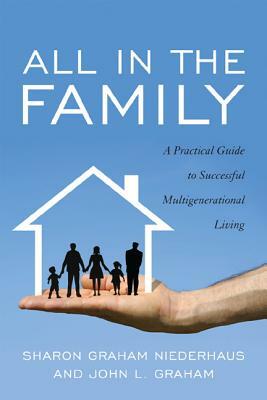 Sharon Graham Niederhaus completed her master's thesis at Stanford University on multigenerational living arrangements. A credentialed K-12 teacher, she has written numerous articles in educational journals and was inducted into the Women's Hall of Fame in San Mateo County, California, for her community-building work. John L. Graham is professor emeritus of business at the Merage School of Business, University of California, Irvine. His previous books on consumer behavior and negotiation have been published in several languages in countries around the world.